The time of year Quackers look forward to…because it’s so much FUN Summer’s ending, fall is happening, and Halloween is about to let the ‘Quacker ghouls’ do their thing all through the season! What better way to celebrate than with some new autumn apparel for your wardrobe? Nobody knows how to celebrate all these fun days like Quacker Factory. 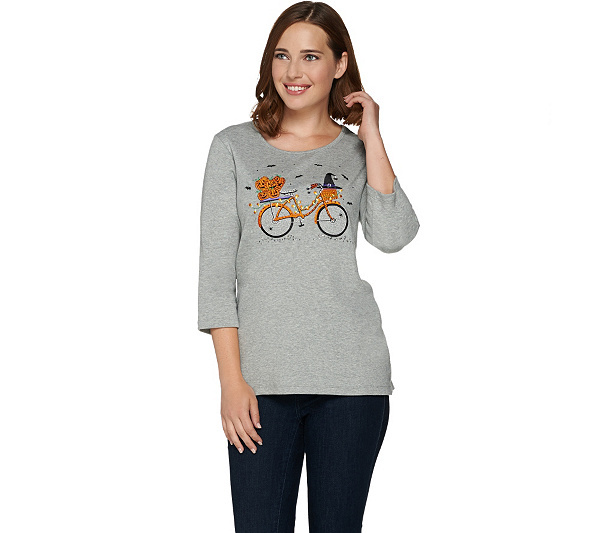 Browse our exclusive women’s autumn clothing designs, and you’re sure to find delightful fashion ‘treats’ that will bring you lots of smiles and compliments. We’re not ‘tricking’ you! Have fun with your gorgeous ghoul-friends! 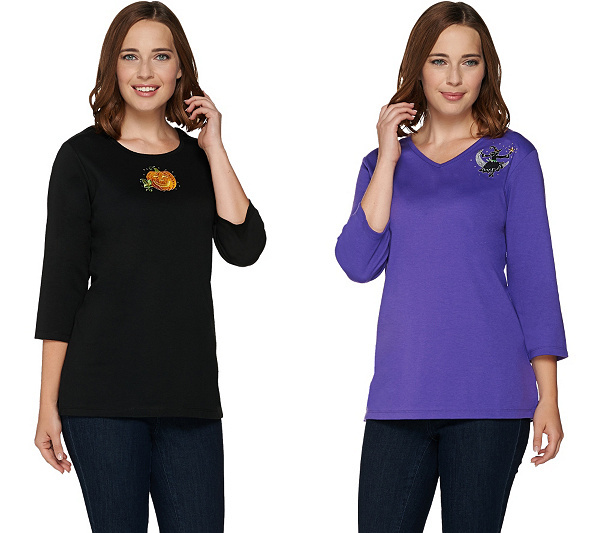 You’ll all look fabulous in our gorgeous autumn apparel. The time of year Quackers look forward to because it’s so much FUN! Summer’s ending, fall is happening, and Halloween is about to let the ‘Quacker ghouls’ do their thing all through the season! What better way to celebrate than with some new autumn apparel for your wardrobe? Nobody knows how to celebrate all these fun days like Quacker Factory. We’re not ‘tricking’ you! Browse our exclusive women’s autumn clothing designs, and you’re sure to find delightful fashion ‘treats’ that will bring you lots of compliments and smiles. Have fun with your gorgeous ghoul-friends! 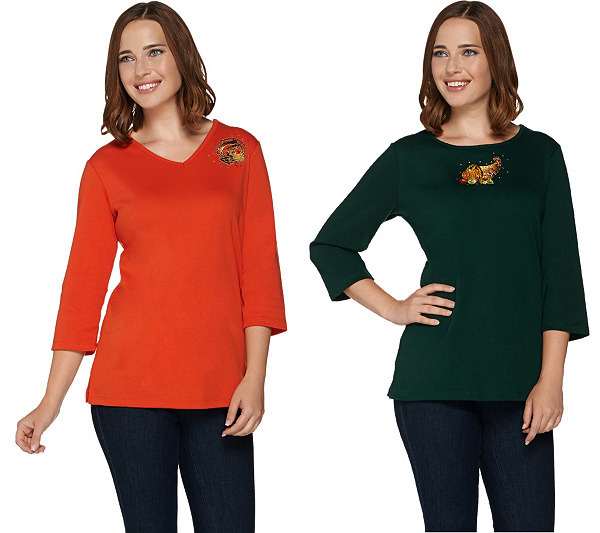 You’ll all look fabulous in our gorgeous autumn apparel.